There is a wonderful line-up of homes for the 2018 Home Tour in Porterville & Springville. Because the number of tickets available is limited, you are being given advance opportunity to purchase your tickets. 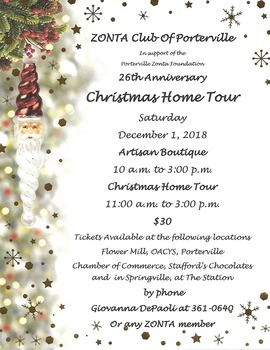 Join your friends and spend the afternoon with Zonta and our gracious homeowners as you begin the holiday season. 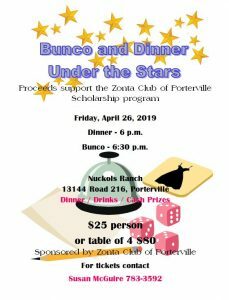 For further information call Giovanna DePaoli at (559) 361-0640 or any Zonta member.